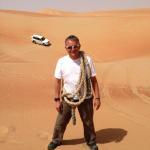 Event organiser in UK, UAE, Oman and further afield too. Apr 17, 2019ReplyDubaiRe: Jumeira Rotana Dubai... what’s nearby and other questions! Apr 16, 2019ReplyDubaiRe: Current UAE exchange rate? Apr 15, 2019ReplyUnited Arab EmiratesRe: Dubai/Abu Dhabi tour/sightseeing in July-August help!